Last week, the ACC held its annual media day, with media members voting on the 2013 ACC Preseason Polls. 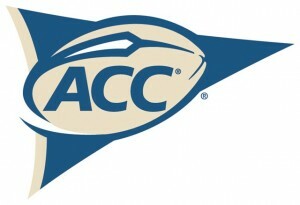 The media expects the ACC Championship to be a matchup of Clemson and Miami (55 votes). Duke, despite having a solid 2012 season and reaching their first bowl game in awhile, was picked to finish last in the Coastal Division. Expected to finish ahead of the Blue Devils in the Coastal Division are Miami, Virginia Tech, North Carolina, Georgia Tech, Pitt, and Virginia. Clemson was the overwhelming pick to finish first in the Atlantic Division. They are followed by Florida State, NC State, Wake Forest, Maryland, Syracuse, and Boston College. Clemson quarterback Tajh Boyd received 105 votes for the preseason pick for ACC Player of the Year. Two days later, the conference released its preseason All-ACC Football Team. Not surprising, Boyd earned the quarterback spot on the 25-man team. He is one of three Tigers players on the list. Boyd will begin his senior season with 8,053 career passing yards and 73 career touchdown passes. He was named on 59 of the 65 ballots cast (not sure how anyone could leave him off). Duke had two players on the All-ACC Football team. Senior cornerback Ross Cockrell received 48 votes while sophomore punter Will Monday received 41 votes. Both received the most votes at their position.